Roof Racks are a great addition to a vehicle to increase its storage capacity. Being on top of the vehicle, you can carry items that are bulky with ease. Roof Racks are commonly used for trade’s purposes, but they are just as useful for those carrying surfboards, kayaks, camping gear, spotlights and the list goes on. What are the benefits of Roof Racks? If you are like me, you can bet there have been times that you have struggled to fit everything you need into the car. Roof Racks are an economical way to increase your storage capacity. Typically, they are used to store bulky items; things that just don’t fit in the car. They also give you a place to mount spotlights and work lights. When looking at purchasing roof racks, you need to think about what you are going to use them for. There are a range of different options, and often these can be modified to suit what you need. The simplest set of roof racks is two bars running next to each other. Most vehicles have the two bars running along the width of the vehicle, although I have seen them running the other way on some modern cars. If they do run length ways, you should be able to get cross bars to allow for different storage options. A basked is a very popular storage option on four wheel drives, as it allows you to fit smaller items in without them falling through. These are usually mounted to two cross bars. You can purchase full length roof racks which are basically big baskets. These are the most expensive, but also the most versatile. A lot of trade’s vehicles have full length roof racks that are open at the front and the rear, to allow for transporting long material (pipes, metal or timber). One thing I will mention when looking for roof racks is to get something that sits low to the roof. I’ve seen numerous roof racks with 20 – 30 cm gaps in between the roof and where the racks start. You are asking for trouble using these. There are a number of different mounting options, depending on the design of your vehicle (and the type of roof racks). It is vital that you purchase roof racks that will fit on your vehicle! If you have gutters on the vehicle, most roof racks just clamp to these. If you don’t have gutters, you may be able to get roof racks that clamp to the roof instead. Some roof racks have rails that bolt to the roof, and your roof racks clamp to these. I have even seen roof racks that are held on with straps through the interior of your vehicle, but these aren’t the best idea! If you own a Ute, a lot of roof racks just bolt onto the top of the tray. 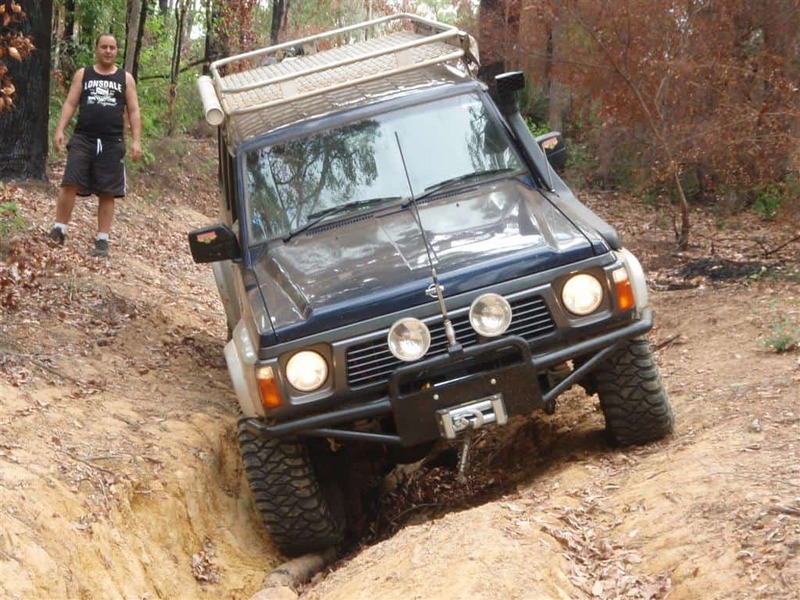 It’s important to remember that the mounting options (and design of the roof racks) very much affects the amount of weight you can carry, and whether you can go four wheel driving with them! What should you store on your Roof Racks? Being so convenient for storage, a lot of people overload their roof racks. It’s so easy to throw everything on top that doesn’t fit in your car, and this is a big mistake. Roof Racks are only designed to carry a certain amount of weight, and if you exceed this you risk doing damage. Being up so high, everything you throw on top makes your vehicle less stable. It also increases your wind resistance, and means you use more fuel. As a result of this, what you store on your roof racks should be light weight, bulky (without getting too caught by the wind) and easy to remove. 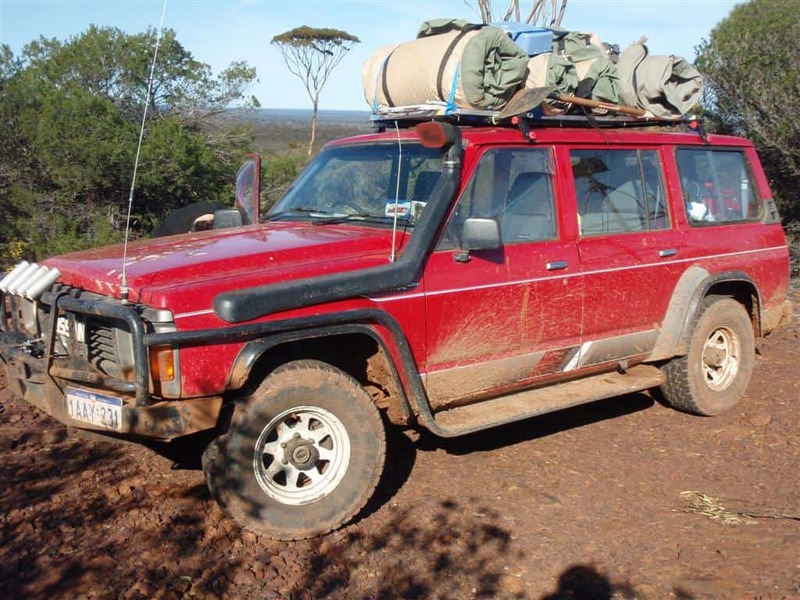 It is a worry when you see a vehicle drive past with over 100kg of weight on their roof racks. This is extremely dangerous for those in the vehicle, and anyone who comes in contact with them too! 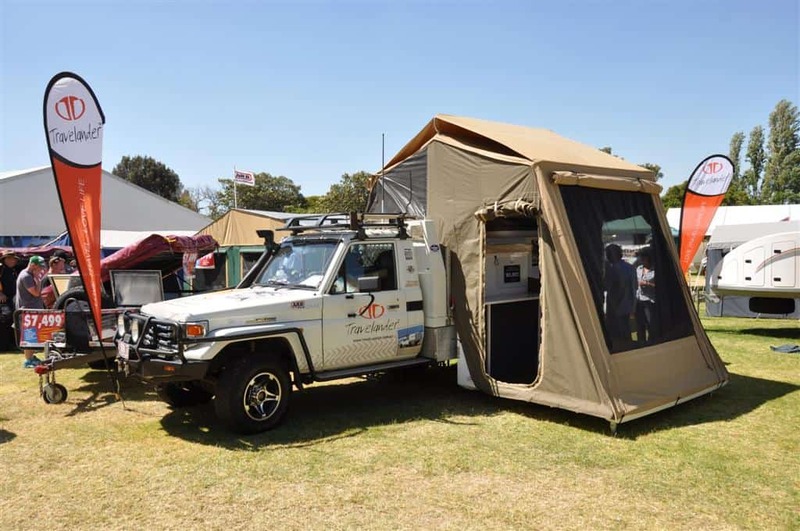 Roof Top Tents are designed to sit on roof racks, so these are ok. Other things that are great for throwing on roof racks are swags, tents, chairs, light weight toolboxes (with light weight items in them! ), surf boards, kayaks, small aluminum boats (with the relevant loader if possible), Maxtrax, high lift jacks, tables, awnings, tarps and minor amounts of fuel or water. Like anything, it’s important to have a good think about what you want roof racks for. Consider what you want to carry, and then look at your options. You need to think about the maximum amount of weight that your roof can carry, the size of the roof racks, the mounting options and whether they support four wheel driving or not. The cheaper roof racks will not handle four wheel driving very well, and will likely damage your vehicle. How do Roof Racks affect fuel economy? You can guarantee the moment you fit roof racks your vehicle will start using more fuel. I have known people that remove roof racks when they are not in use. This is good practice, but it is also highly impractical if the roof racks are heavy (or store a roof top tent). The amount of extra fuel used depends on the size of the roof racks, how high they sit, what you are carrying, how fast you sit and whether you have a wind deflector or not. Aluminium or Steel Roof Racks? 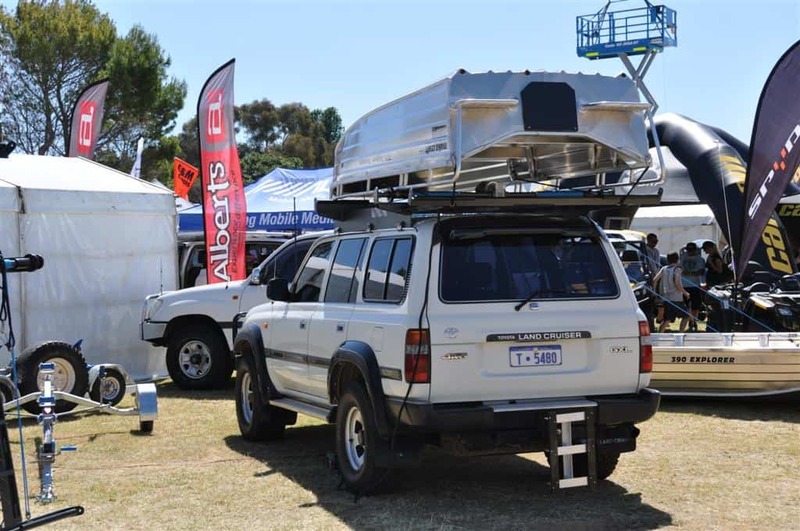 The most popular options for roof racks are steel or aluminium. A number of roof racks are made of plastic and metal combined. Aluminium roof racks are lighter weight, which is beneficial as it keeps the centre of gravity down. However, they are more expensive, more difficult to repair and generally considered to be slightly weaker. Of course, it depends on what you are carrying – if you only have light weight gear up there it isn’t going to matter. I suggest that full length steel roof racks are a bad, bad idea. They weigh in between 50 – 70kg unloaded, which is a LOT of weight to have up that heigh even before you start loading the vehicle up! How much weight can you store on a roof rack? A lot of people overload their roof racks. Most vehicles are only legally allowed to carry 80 – 100kg on the roof. If you put a roof top tent, fuel, a toolbox and spare wheel on the roof racks you can guarantee that it is going to be overloaded. I’ve mentioned before that the least amount of weight on the roof is the best, as you keep your centre of gravity low. You would be surprised what 50kg of weight does to your centre of gravity. 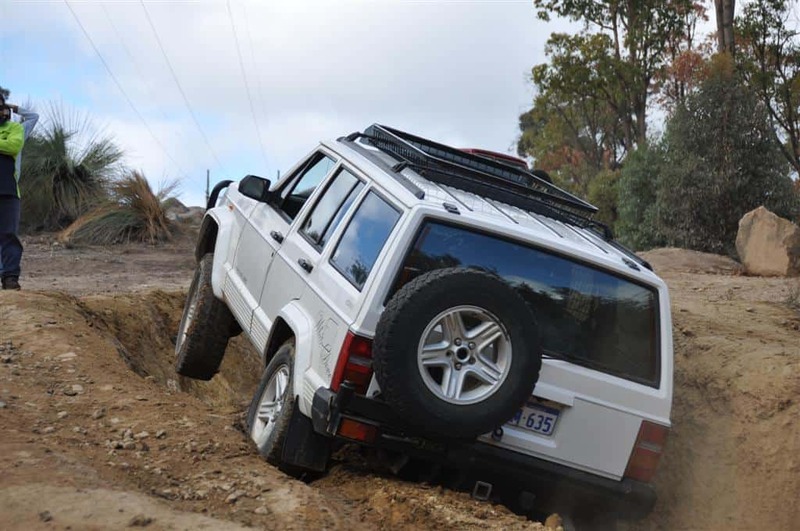 I’ve seen four wheel drives roll because they had too much gear up top. Keep the weight down low where possible. Check this out for more information: Roof Racks; are you overloaded? A lot of people store spare wheels on roof racks, but I don’t recommend it. For starters, when it does come time for you to change the wheel you have to lift the thing down. This might be ok for those who have light weight rims and tyres, but I’ve tried to get a 35” x 12.5” tyre down from the roof racks of a vehicle and know I don’t want to do it again! Try getting a 45kg wheel down from the roof! A lot of people suggest taking a spare tyre, and the tools needed to swap the tyre onto a rim if you do get a puncture or a tyre fails. 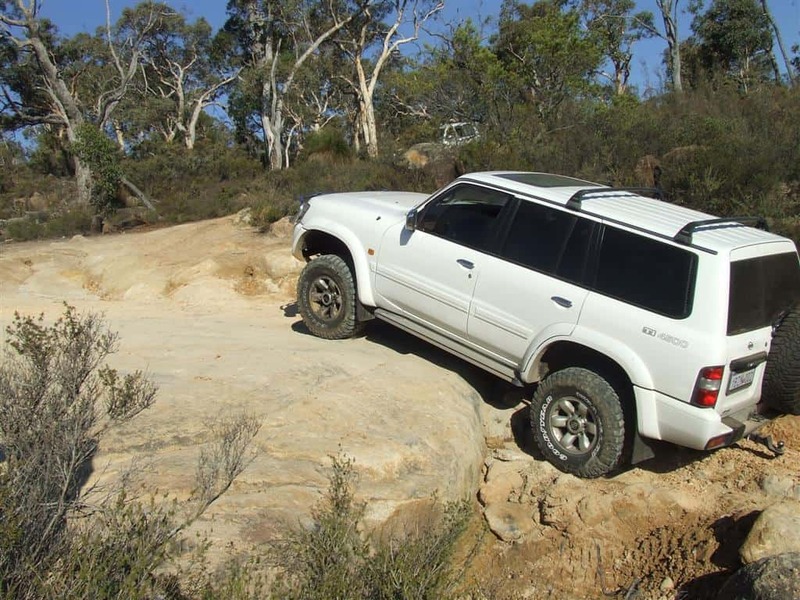 Most spare tyres would weigh in between 20 and 45kg, and that is a lot of weight to have on the roof, and to get down when you need to. If possible, get a rear wheel carrier. Fuel is one of those items that is difficult to store in a vehicle. You aren’t meant to carry it inside of a car, and as far as I know you can’t carry it on the rear of a vehicle either. This means that you have to carry it elsewhere outside of the vehicle. A lot of people put it on the roof racks, but do it in moderation. If you put 3 full jerry cans on the roof, you have an extra 60kg up there. This is not ideal! 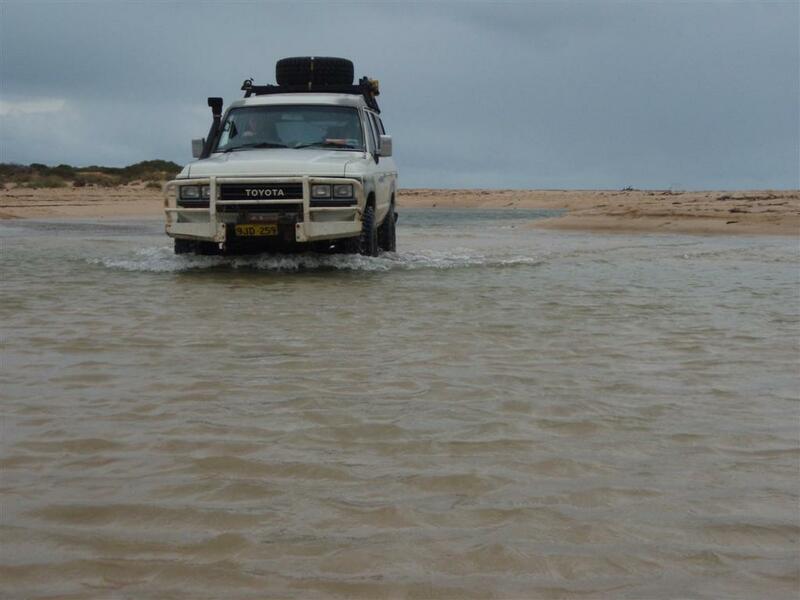 A long rang tank is a great investment, as are underbody (or inside the vehicle) water tanks. Not only is it a pain to remove the jerry cans from up top, but you have to tie them down securely and then empty them individually on the side of the road! Long range tanks give you greater stability and will result in savings in the long run as you can fill up at the cheaper stations and skip the more remote towns. Roof Top Tents are a great way to set up camp quickly. Most can be set up in under 5 minutes, and keep you off the ground away from all of the bugs (and crocodiles up north!). 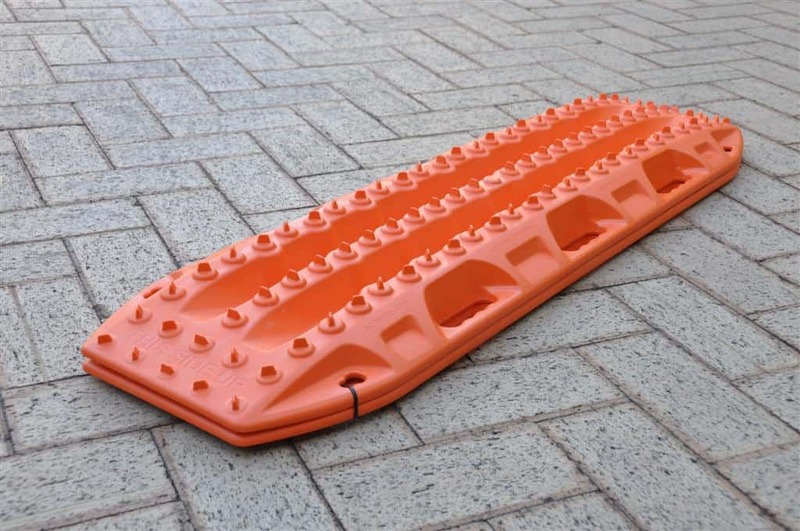 However, the most common complaint about these is that once they are set up you can’t move your vehicle and they make your vehicle more top heavy. However, if you do decide to get one (and many do as they are a great idea), make sure you have roof racks that will carry it properly, and it is mounted as low as possible to the roof. Most roof top tents weigh in between 40kg and 60kg, and you need to factor this into your storage! Don’t overload the roof racks. What are the negatives of Roof Racks? I mentioned above that you will use more fuel with roof racks. You can improve the economy slightly by fitting a wind deflector (which can be hand made with limited skills). Another thing worth pointing out is the noise. By having bars running across your vehicle (or a basket) you will notice a bit of wind noise. How obvious it is depends on your tyres, engine noise and the level you turn your stereo to! You also have an increased centre of gravity, which needs to be considered when you get onto those side angles! It might be well and good to store things on the roof rack, but you need to have a way to get them off. A lot of full length roof racks come with ladders to allow you to climb right to the top to get what you need. Can you get to your roof rack from the rear of the vehicle? How are you going to tie things down properly? If you get a boat, you can get boat loaders that can be operated by a single person. It’s important that you come up with a way of removing whatever you put on the vehicle without injuring yourself or anyone else! How are you going to get the gear down? One of the more common DIY accessories on four wheel drives is a PVC pipe running alongside roof racks. Majority of these will have taps on them, and are used to carry water. Some people use a piece of PVC to carry their fishing rods though, which is also handy if you are into fishing! It isn’t too hard to make a water tank up like this, but there are a few things to bear in mind. Water is quite heavy, and you need to mount the PVC in a way that it isn’t going to snap off. 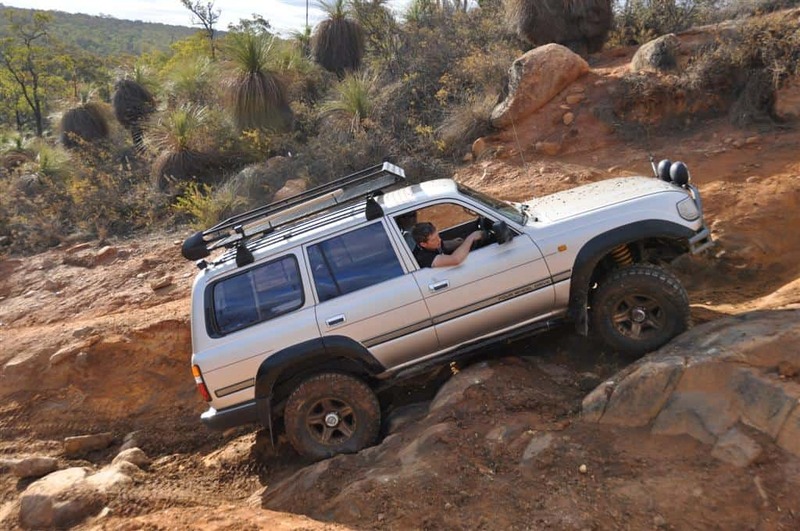 Some light tin brackets and small screws just aren’t going to cut it when you are bouncing along that rocky track. There is some controversy regarding whether the water is safe to drink or not. I’d suggest you use it for showers, washing dishes and cleaning your hands, but a lot of people do use them for drinking. Being in the sun you will find the water gets quite hot; I have seen people paint the pipes black and use them for warm showers at the end of the day! 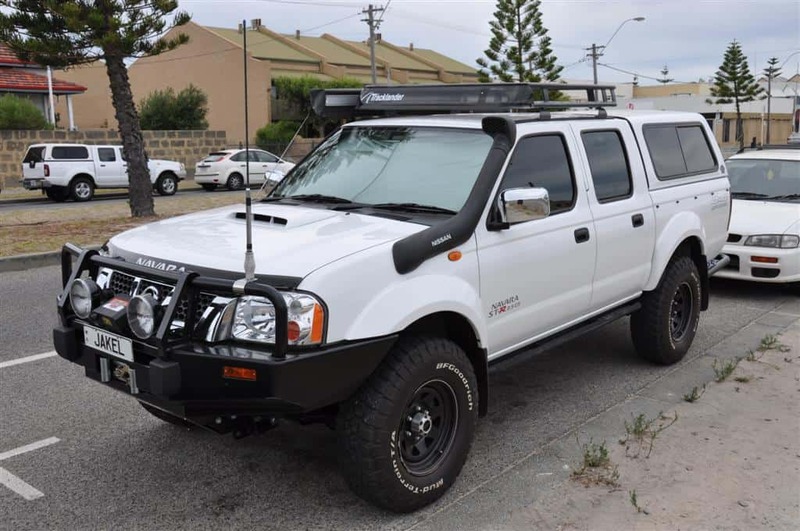 If you have a canopy fitted to your Ute, there are a few options when it comes to fitting a set of roof racks. First off, you need to think about the weight being added to the racks. Some steel canopies will take weight on top without doing anything to them. You can add roof racks in the same way that you would a vehicle. However, for majority of canopies that are made of fiberglass, they are simply not strong enough to withstand the pressure. In this case, you really only have two options. The first is to make (or you can buy these) braces that run up the inside of the canopy and bolt onto a set of racks through the fiberglass. These are relatively expensive, but they look the best and will handle a decent amount of weight. A cheap alternative is to build roof racks that have legs which go on the outside of the canopy, and either bolt under the canopy or to the side of the tray. This is what I have just done with My Hilux. After you have a decent set of roof racks fitted, please make sure you are securing things properly. In the event of an accident, nothing is worse than having a 20kg jerry can go flying through the air. Rated ratchet straps and rope should be used, to ensure that everything you have on the racks stays there. It is better to over engineer your securing methods than to under engineer it! Roof Racks are well worth fitting to your vehicle if you have a need for additional storage. There are a number of different brands that you can purchase, but as the saying goes ‘you get what you pay for’. If you have a recommended product below, I’d love to hear about it.